Homespun Stitchworks..... For the love of vintage: February already ... this is scary!! Thaws the frozen lakes again! So please tell me where January has gone? I really feel like we just packed up from Christmas and already we are into our second month of 2016. The weather is terrible here but I am very well aware that there are some very bad conditions in the North of our tiny island and people have been flooded out of their homes and businesses so really I have nothing to complain about. We have a soggy garden but that is it. On go the wellies to feed the birds and my tame squirrel. 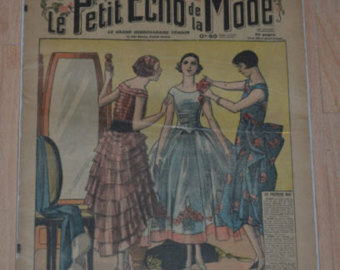 After my visit to the V & A the other week and sitting in the fashion exhibit scribbling in my journal I am in the middle of designing a 1920/30 piece. I have been looking closely into their fashion and magazines of the time. I adore this era of fashion, even their PJ'S were stunning in silks with matching dressing gowns. I would love to get hold of a stitching magazine of the time and have been trolling and truffling through the internet and Ebay. So I am pleased that the vintage fairs are starting because you never ever know what will be on offer to purchase, it is very exciting. So today I am going to do a little research and have a designing day I think plus I have a little pile of hand stitching ( tiny project things) that I want to get finished so that is my day planned. How about you? Have a great day whatever you are up to and as always Happy Stitching! Yes where has January gone? I haven't done any crafting as such which is so annoying. Lets hope February fairs better... I just hope this year doesn't go as fast as last year! Julie I am with you there .. Years are rattling on! Looking forward to Spring though. I hope you get some time to craft soon. Thank you for your support on here and enjoy reading your comments ..